Choose Table attributes such as converting views, skip converting indexes, convert table(s) definitions only that you want to convert. 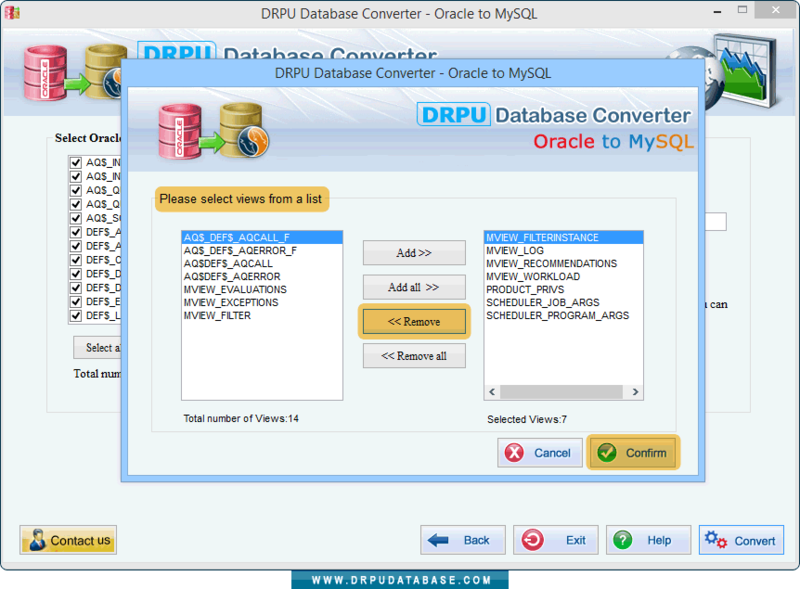 Above window will open in case of converting view option (if selected), choose views from a list to convert. 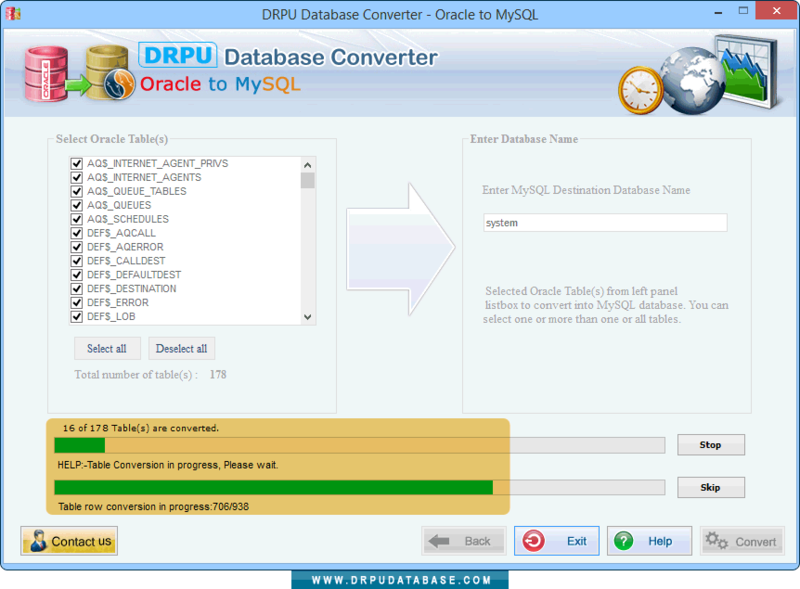 Above screenshot shows progress of database conversion process. 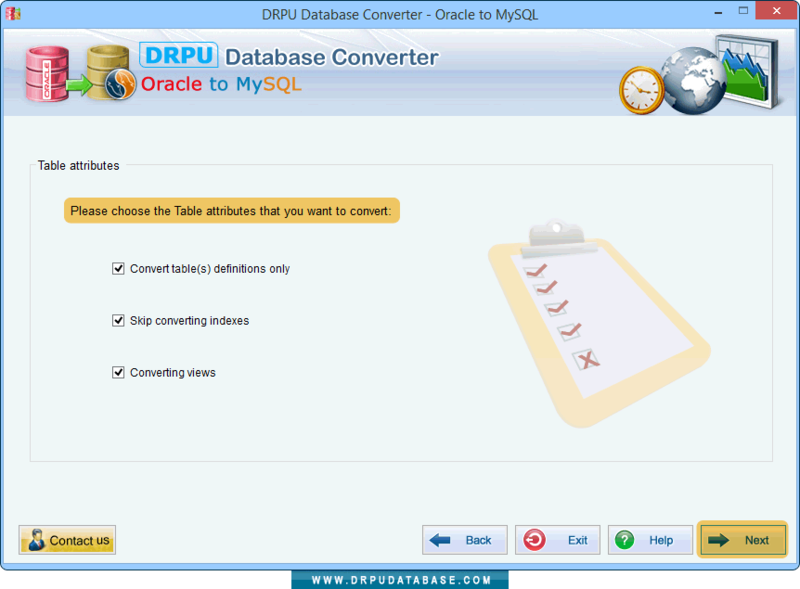 Click “Stop” button to abort ongoing conversion process and press “Skip” button to skip any particular table.